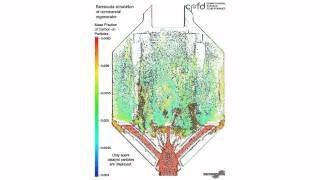 Albuquerque, NM – June 16, 2017 - CPFD Software, LLC is pleased to announce the release of Barracuda Virtual Reactor 17.2, engineering software for simulation and analysis of fluidized bed reactors and other gas-solid systems. 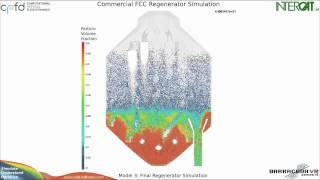 Virtual Reactor™ now utilizes both GPU and multi-core CPU acceleration for simulations with chemical reactions. 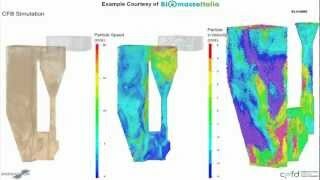 Simulations with significant volume-average chemistry can see up to 3x speed-up over past versions. Heating/cooling rate enhancements provide Virtual Reactor users with more control for calculations with external particle recirculation loops, such as catalyst coolers on FCC units. Users can now specify heating or cooling rates with physically-reasonable bounds, enabling even more realistic simulation of heat transfer in BC Connectors by allowing heat to be added to or withdrawn from particles and fluids at a user-specified rate. Table-based data can now be used to filter particles returning via BC Connectors based on particle properties. This enables PSD shifts through primary and secondary dipleg returns, and enables capturing the effect of fines loss for vessels employing multi-stage cyclone systems. 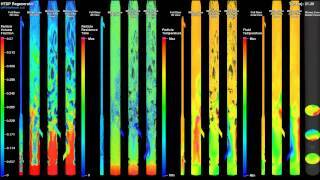 With these features and other enhancements, including secondary exits from BC connectors, improved particle feeding algorithm, license usage tracking, and new Lagrangian output data variables to increase post-processing capabilities, CPFD Software continues to advance the speed, capability, and ease-of-use of Virtual Reactor. 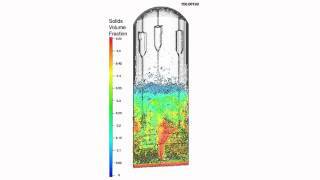 We carry on our commitment to helping engineers meet the challenges of designing, troubleshooting, and optimizing the performance of fluidized bed reactors and other industrial gas-solid systems.